Are you searching IIM CAT Notification 2018???? If yes, then here is relevant information for you. Indian Institutes of Management will start Online registration for CAT 2018 Application Form on 08th August 2018. The last date of fill application form is 26th September 2018. Common Admission Test CAT Exam 2018 will be held on 25th November 2018. Applicants those are interested to attend the examination must register first on iimcat.ac.in. They should register for CAT Online Form 2018 First and then fill registration form step by step. There are three steps to register for CAT 2018 like registration, fill application form & pay application fees. Furthermore details you require to read full article carefully. Indian Institutes of Management every year released IIM CAT 2018 Notification for selected candidates to admission in top business administration colleges. There are various Post Graduate & Fellow Programs. The department is conducting CAT Exam every year by one at various centers. A large number of students have filled CAT 2018 Application Form and appear in the examination. In this year, CAT 2018 Exam will be going to held on 25th November 2018 around 147 test cities. Applicants can choose four cities in order of their preference. Furthermore, information like CAT Registration Eligibility, Application Fees, Selection Procedure and How to apply mention below. Latest News as on 20.09.2018: Indian Institute of Management is extended CAT Registration 2018 dates. Applicants can fill their CAT 2018 Application Form till 26th September 2018. The direct link is available at the end of the article. Latest News as on 20.09.2018: Dear Applicants, Now you can submit CAT 2018 Online Form till 26.09.2018 (5.00 PM). Then the examination will going to held on 25th november 2018. The direct link to apply for CAT 2018 Application form is available at the end of the article. About CAT 2018 – What is the Full Form of CAT? 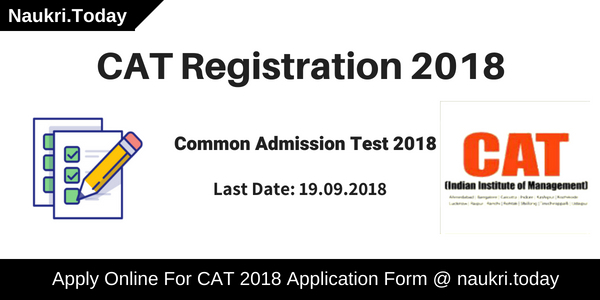 Important Dates of Common Admission Test CAT Online Form 2018 – What is the Date of IIM CAT Exam 2018? What is the Age Limit to Appear in IIM CAT 2018 Exam? 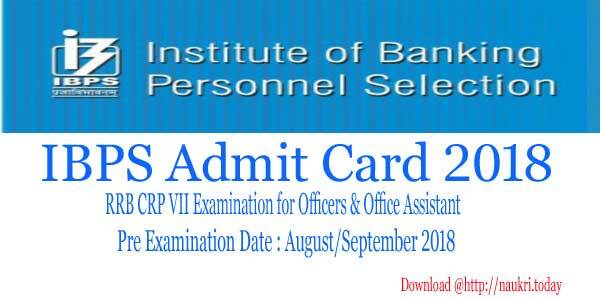 Who Many Seats Reserved for Reservation Category in CAT 2018 Application Form? CAT stands for Common Admission Test conducted by Indian Institutes of Management. The exam conducts every year once. 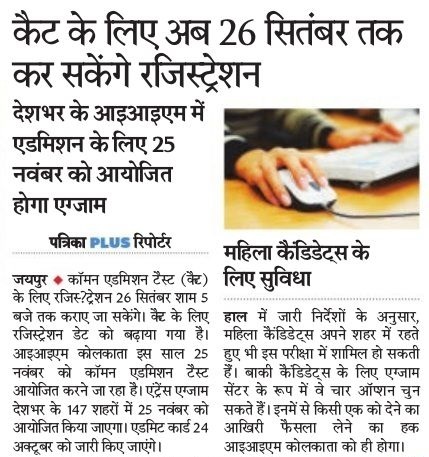 Around 2-3 Lakh applicants filled the CAT Online Form. It is a computer-based test organized in India only. The CAT Exam is conducted for admission in business administration programs. Scores will generate after the online test is based on Quantitative Ability, Verbal Ability, Data Interpretation, Logical Reasoning and Reading Comprehension. Hence, fill CAT 2018 Application Form through below link. In this year, Common Admission Test 2018 Application Fees is increased. Now General/OBC candidates pay Rs. 1900/- and SC/ST candidates pay Rs. 950/- for IIM CAT Registration Form. While last year the application fees for General/OBC candidates Rs. 1800/- and SC/ST candidates Rs. 900/-. This year the exam will organize at 147 cities. Interested applicants who are going to apply for CAT 2018 Online Form must ensure that they are eligible or not. Applicants must check given below eligibility condition. If you are found not eligible at the time of CAT Application form, your form will not accept by the department. So before applying for IIM CAT Admission Form must read below details of eligibility. Candidates should complete their Graduation with at least 50% marks by any recognized university. For CAT 2018 Admission SC/ST/PWD applicants should have 45% marks in their Bachelor Degree. Participants those are appearing in the final year examination for Bachelor Degree and waiting for result are also eligible to fill IIM CAT 2018 Application Form. Thus applicants who are interested in CAT Registration Form should fulfill any of the following Condition. There is no age limit for candidates. You can fill CAT Registration Form in any age. Check education qualification to check your CAT 2018 Online Form eligibility. Those candidates are belonging to General/OBC category have to pay Rs. 1900/-. While Application Fees for CAT Online Form SC/ST candidates is Rs.950/-. The application fees are paid through online mode only using Credit/Debit/Net Banking. After conduct CAT Exam 2018 the department will also release result on the second week of January 2019. There are two sessions will conduct. Then the normalization process is started and then after scale score check to shortlisted candidates for CAT 2018. Scale core of each section with total marks shall be published for shortlisting of candidates. After then check all documents of candidates. The scores of candidates valid till December 2019. Furthermore, information of CAT 2018 Application Form, Exam Pattern & Syllabus Click Here and check below segment. In this year the exam will be going to held at 147 cities. An applicant can choose four preference city in CAT Online Form 2018. For more details check the official advertisement. Indian Institute of Management is not described how many seats available for CAT 2018 Registration. A large number of candidates can fill IIM Common Admission Test 2018 Application Form. Every year it will change according to the availability of seats. Here is a very short amount of seats reserved for candidates those are belonging to reserved category. Applicants those want to claim towards reservation seats must upload required documents with CAT Online Form 2018. Otherwise, they will not get the reservation which is mention below. Applicants who are interested and eligible for CAT 2018 Application Form may apply through online mode only. applicants must have valid email id and mobile no. before going to fill Common Admission Test Online Form 2018. Candidates also check to require the document to fill CAT Registration Form 2018. For more details check below section. Scoring Sheet of Class X, XII, Graduation & Other Higher Education. Scan copy of photograph and signature. The photo should be on white background and not more than six months old. First of all, candidates have to go CAT 2018 Official site iimcat.ac.in. Click on application online for CAT 2018 Application Form. Now login to CAT 2018 you can log in with your user id and password provided at the time of registration. Enter all mandatory details like qualification, working experience, Programmes. Upload required documents on CAT Registration Form 2018. Scan copy of signature and photograph also upload on CAT Online Form 2018. Choose your preference exam city on your application form. Now Make Payment of CAT Application Form Fees through online mode only. You can also make correction of your Common Admission Test Registration form before the last date. Now submit CAT 2018 Application Form carefully. Take print out of it for future uses. Conclusion: Indian Institutes of Management has released advertisement for CAT 2018 Application Form. The Common Admission Test Registration Form is available from 08th August 2018. Applicants can fill their application form of CAT 2018 till the last date 26th September 2018. IIM Common Admission Test 2018 will going to held on 25th November 2018.